In the recent working paper, Institutional Order Handling and Broker-Affiliated Trading Venues, FINRA set out to discover whether or not brokers routing orders to Alternative Trading Systems (ATSs) that they own affects execution quality. Brokers who have an affiliated ATS and route a high proportion of orders to it suffer from degraded performance over the order’s lifecycle. For institutional clients, there are opportunity costs for unfilled orders and trading with brokers that have high affiliated ATS routing is costlier. Not all brokers that have an affiliated ATS show a preference in routing orders to it. Beyond broker selection, there is venue selection. Choosing a broker for execution is only half the battle. Knowing how that broker chooses to exercise its discretion in routing your orders requires a new level of collaboration and transparency. Discretion is defined as the freedom to decide what should be done in a particular situation. A broker's discretion should not be a secret. How they select and prioritize venues and choose to route to them on their client’s behalf should be the broker's key differentiator to the buy side that they should choose them over any other broker. Simply knowing that there could be bias in routing to broker-owned ATSs and that there are associated opportunity costs which impact best execution is exactly why market participants need advanced venue analytics—as well as transparency and control over their routing protocols. When choosing to execute in an ATS or any venue for that matter, institutional asset managers need to have confidence that brokers are developing routing protocols based not on the broker's own bias, but on market structure knowledge and data that backs it up. They need to know the broker is executing with their best interests in mind and with the intent of achieving best execution for them. Brokers, in turn, need access to electronic trading solutions that provide them with the ability to collaborate with their buy-side clients, customize solutions that ensure the intent of the trade is being honored, and measure venue performance over time. The published results of the working paper seem to support the need for recent regulatory and industry initiatives on improved disclosures and transparency relating to order routing and the incentives and handling of institutional order flow. While we clearly support more transparency and disclosure, we also believe there must be additional work done around establishing an industry-wide definition of best execution for institutional order flow. The FINRA study was based on the performance of parent orders, which is comparable to how the buy side analyzes the performance of their institutional orders at the parent level. But on the other side of the equation, because multiple brokers receive a portion of the parent order and then further slice that order up across multiple venues, the performance of those venues for child slices becomes extremely important in an order's execution protocol and in how the buy side should determine which brokers to include in their network of executing brokers. Since we don't yet have an industry-wide definition, the meaning of best execution should at minimum be agreed upon by the buy side and the brokers in their network. One way market participants can align on best execution is with Clearpool’s Algorithmic Management System (AMS) and Venue Analysis. Brokers who leverage the Clearpool AMS not only have access to innovative algorithmic trading technology, but they also benefit from our unbiased agency-only broker-dealer services which provide access to market centers. Additionally, they have access to Clearpool's experts who have a deep understanding of institutional trading, market structure and algorithm development. Together, this enables sell-side brokers who use the AMS to deliver unparalleled service to their buy-side clients. Buy-side market participants who use brokers that leverage the AMS on their behalf can effectively and consistently measure their network of brokers and the venues they route to. For the first time, the buy side has a holistic way to measure the performance of their network of brokers. Market participants who leverage Venue Analysis have the opportunity to measure a venue’s historical performance on a monthly or quarterly basis, validate routing protocols and demonstrate best execution. Venue Analysis subscribers get access to Clearpool’s entire universe of anonymized execution data. If you have flow running through the AMS, then you also gain the ability to see an analysis of your own flow—allowing you to perform peer analysis by comparing your data set to Clearpool’s universe. Defining best ex requires conversation. A conversation where the buy side shares their vision of what best ex means for them and the sell side shares the various options and the trade-offs required to meet that vision. It is important to note that best execution rarely translates to cheapest execution. Every venue, not just ATSs, has positive and negative attributes. It is how and when a broker chooses to access those venues, which order types are used, determining when to rest or to ping, and choosing whether to seek midpoint liquidity or opportunistically cross the spread that determines the experience you may have with a particular venue. All of these factors need to be considered to align the broker’s actions with the intent of the trade in order to achieve best ex. Brokers who have access to Clearpool’s Algorithmic Management System(AMS) and Venue Analysis are well prepared to have such collaborative and transparent discussions with their buy-side clients. 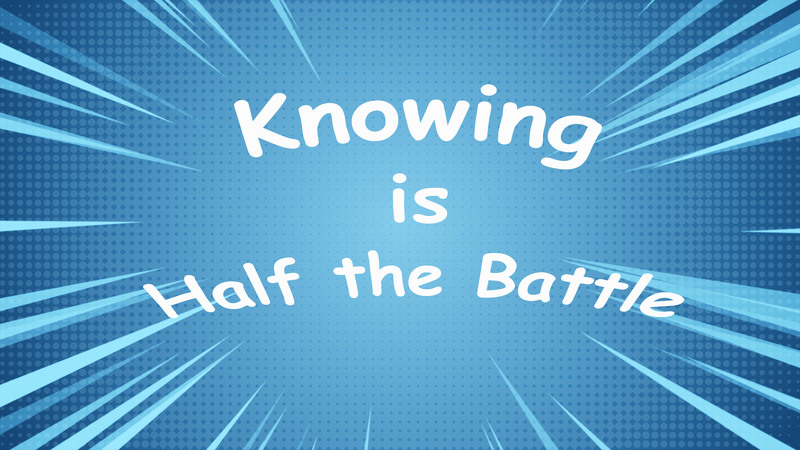 Since knowing is half the battle—if you know better, you should do better.